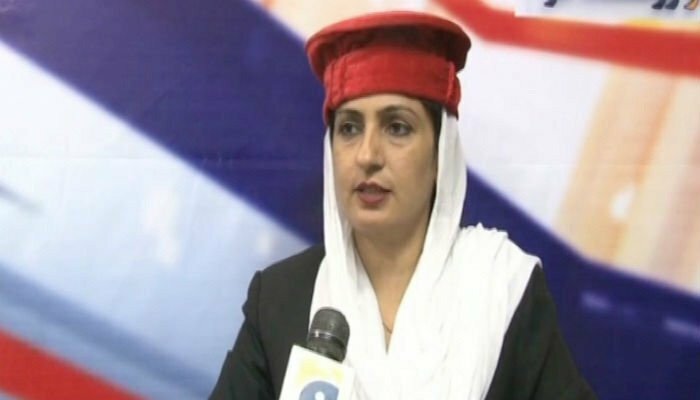 ISLAMABAD: Awami National Party’s (ANP) first woman candidate on a general seat from NA-155, Nosheen Khan Jatoi, is contesting elections with an interesting way of campaigning. She rides a motorcycle to interact with constituents in order to garner their support. The candidate is going door-to-door conveying her party’s message. “Since I was a little kid, I would look at the conditions of the people around me and wonder what I can do for them,” Nosheen remarked while talking to a private news channel. In order to help people, she pursued a degree in law. However, she soon realised that she was not able to reach out to as many people as she wanted. Then, she opened a non-governmental organisation, Niharki Welfare Organisation, which offers vocational training, educates people about law, and operates dispensaries at different places. With time, Nosheen, who hails from Jatoi district of Muzaffargarh, realised that she can only achieve her goals was by becoming a parliamentarian. When asked about the biggest challenge facing Pakistan, the middle child among three sisters and four brothers pointed out that it was the dearth of education. “I do not want to focus on educating children but adults as well,” she said. She said that people must be educated to be socially aware and know the difference between good and bad, adding that it is of “crucial importance for women to know about their rights”. Whether she wins or loses, Nosheen knows that her journey is far from over. Despite degrees in law and English language, she is currently completing her MPhil in English literature from the University of Central Punjab. She further remarked that women seek female lawyers to represent them so that they could easily share their issues with them. “Only a woman can understand another woman’s problem and deal with it in a better way. Apart from that, I thought of contesting the elections because I thought that I have already been working as law professional, but I have so far been unable to do what I want to,” the ANP candidate said. “This is why I decided to contest the elections, availed ANP’s ticket and thankfully I am running for the seat from their panel,” she added.